Heroes, Heroines, and History: Titan-Haired Heroes and Heroines through History! Titan-Haired Heroes and Heroines through History! Patty Smith Hall here, and anyone who knows me knows that I have a special place in my heart for redheads. Which is why I choose to feature a family made up of redheaded heroes and heroines in my World War II series with Love Inspired Historical. Titan hair is a unique genetic feature, making up on 1-2% of the population. People with red hair usually have fair skin, light colored eyes and a smattering of freckles--the perfect start for any hero or heroine! The sad part is that there are many misconceptions about redheads or ‘gingers,‘ and different cultures look at them with anything from admiration to scorn. A fiery temper and a sharp tongue is often described as a characteristic of redheads as noted in Anne of Green Gables when Anne was said to have a ‘temper to match her (red) hair.‘ In the Medieval Age, people believed red hair was a sign of moral degeneration and went so far as to kill them for being witches, werewolves or vampires. In the modern age, gingers have been targeted by cartoons and comedians alike, and in Great Britain, ‘Gingerism‘ is compared in the same vein as racism. All this fuss over of two recessive genes! 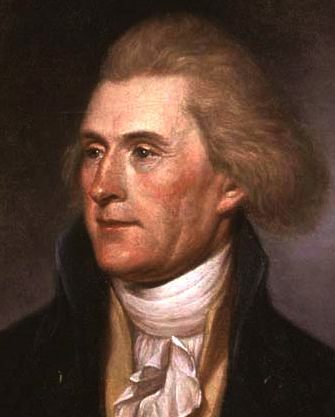 Thomas Jefferson--Author of the Declaration of Independence, one of our founding fathers and third president of the United States. Ron Howard--I mean, come on! Who in their right mind would have a problem with little Opie, good guy Richie Cunningham from ‘Happy Days and one of the great directors of our time. Prince Harry--one of the world’s most eligible men and a cutie pie to boot! Galileo--one of the fathers of the Scientific Revolutions, he introduced the idea of the earth revolving around the sun. Emma Stone--I first noticed how beautiful this girl was in Zombieland but she blew me away with her turn as a writer opening the door to Civil Rights in 1950 Mississippi in The Help. Emily Dickerson--An American poet who’s works, not released until after her death, are considered some of the most significant poetry in American Literature. 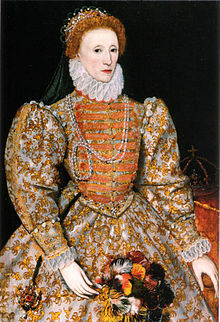 Queen Elizabeth the First--after surviving four stepmothers, she fought off death at the hands of a couple of Marys(one, her sister; the other, her cousin) to rule for over forty years during one of the most prolific times in English history. Carol Burnett--A master comedian. Her version of Gone with the Wind is still considered one of the funniest skits of all time! Vincent Van Gogh--Dutch post-impressionist painter who’s work influenced the world of art throughout the Twentieth century. King David--Writer, Warrior, King of Israel and one of God’s beloved. And the list goes on. Of course, I’ve always known how adventurous and fun-loving gingers can be. God blessed me with a family full of redheads, including my wonderful husband of 29+ years! My husband was a tall, lanky redhead when I met him--told my mama the morning after our first date, I was going to marry that boy! And he dreams big too, even now thirty years later. I never knew King David had red hair! Wow. Does red hair typically occur in Hebrew and Middle Eastern ethnicity? Great and original post, Patty. Fascinating. Kathleen, I've wondered this myself. The King James Bible describes David as "ruddy", and I recently heard a preacher call him a "freckle-faced" boy. That brought me up short. And the 'net is filled with discussions about whether King David had red hair. Kathleen, it's been the center of some discussion for years. In all the amplified Bible, David is described as having 'a healthy reddish color and a fair face' while the Bible dictionary defines ruddy as a healthy reddish color that denotes red hair. Love those red-heads. My great-grandmother was red-haired beauty and is the heroine figure for my new release. My grandfather inherited her red hair. He was a "carrot" top and married a young woman with gorgeous auburn hair. They produced only two red-haired children out of their five and my dad wasn't one of them. Sure didn't know David had red hair. I always pictured him with heavy, dark hair and the more olive complexion of the middle easterners. Lucille Ball was my favorite red-head and I loved the comedian Red Skelton. My father had auburn hair--didn't turn gray until he was well into his 60's! I used to have strawberry blonde hair...but now I dye it to an auburn red. Neither my husband or children have red hair...just me ;( I'm happy at least one son got my curls :-) Thanks for the walk through history with redheadeds! I love auburn hair so much, that my heroine for my debut novel(coming out in May!) has that red-brown colouring. I was born a strawberry blond too! Now, it's just blond, or at least it is when I get it dyed! Wow that was interesting..didn't know all that about red heads...so cool...my dad is one I'll have to let him know! One of my favorite red-headed actresses is Maureen O'Hara. I loved her in The Quiet Man with John Wayne and in How Green Was My Valley. And I've never pictured King David as a redhead. I love Maureen O'Hara! She is such a beauty, and so classy! Interesting post - only redhead in my family, that I can recall, is an aunt of my father's - on is mother's side. I must say, I enjoy the red heads in my life. There are only a few, but life would not be the same without them! Interesting post. My mother told me that, when I was born, my hair was the color of "a new, copper penny". It was blond as a child, but now is medium brown with lots of red highlights. Of my three daughters, one is a redhead. She is more of a strawberry blonde. Her son has red hair, freckles and brown eyes. I think the brown eyes are unusual for a redhead. Really enjoyed your list of the redheads too! I married one, he's very knowledgeable, strong headed, and yes, has a controllable temper...he can do anything he sets his mind to. The funny thing is, his hair has changed through the years, from carrot red to brown. People would never know he was a red head! How funny is that?? William Clark of Lewis and Clark had red hair, too. :-) In fact, in my book, Sacagawea, she calls him "Man-with-Red-Hair." This was a great post. I never knew this about red heads in history. All very fascinating! I've never heard of King David being a redhead either. I can tell you, having lived in Israel for a year, that most Middle Easterners have dark skin and hair. I've been a redhead all of my life and never liked it. I have a number of redheaded cousins, and none of our parents are. I've heard it said we had a red-headed great-grandmother. I wonder if she knows she's still leaving her mark on other generations. I want to thank everyone for stoping by today and sharing my love for those 'ginger' haired folks! Next month, I'll be sharing my research on a group of unknown American heroines--the girl pilots of WWII!